House of Syedna Ayub Ansari . 1. Syedna Ayub Ansari got the honour to be the host of Holy Prophet (S.A.W.) when he came to Madina. By the order of Almighty Allah, Prophet's (S.A.W) camel named "QASVA" sat near the house of Syedna Ayub Ansari R.A, The Prophet (S.A.W) said it was Allah's order and he (S.A.W) would stay in the home of Abu Ayub Ansari R.A.
very close to masjid nabvi. 2. 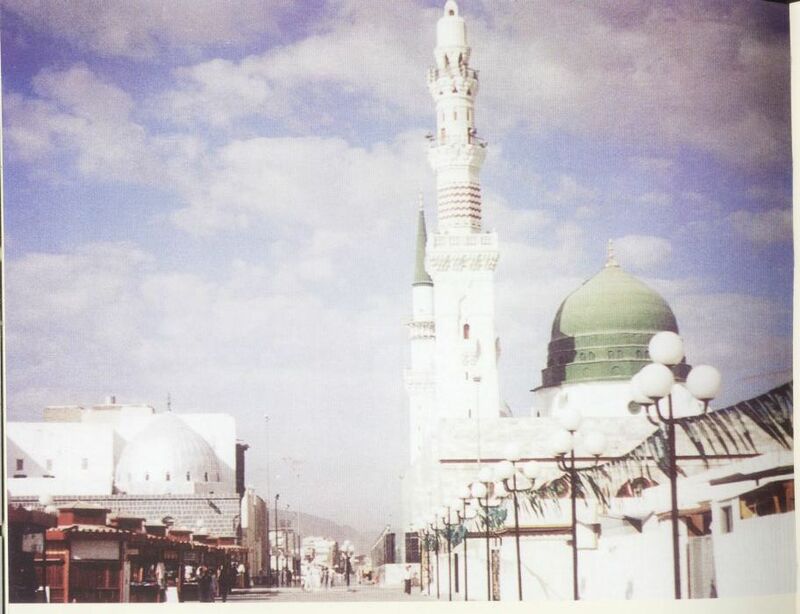 Before Prophet's migration, Syedna Ayub Ansari had come to Makkah on the occasion of Bait-e-Uqba and he got Bait (Embraces Islam) on the Holy hand of Prophet S.A.W. At that time nobody knew that the day would come when this hand would get the honour to be the host of Prophet S.A.W. purchase the land lying vacant in front of this house. 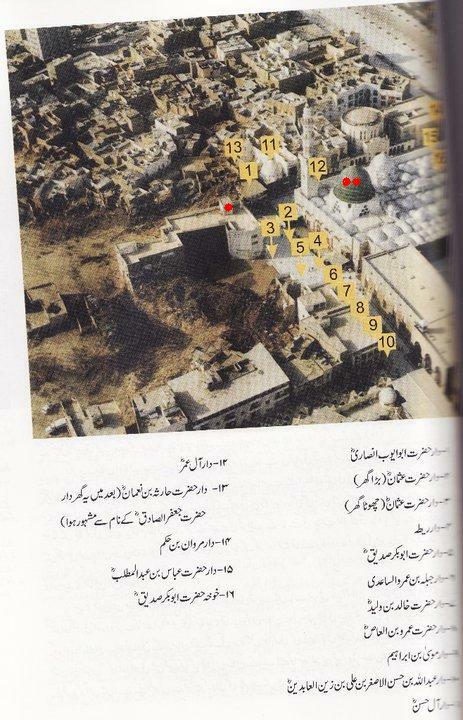 Muhammad sallallaho allihi wasalam areound Masjid-e-nabvi. 3. 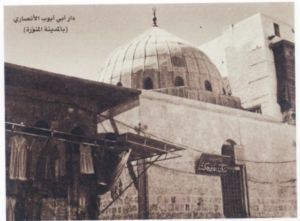 Although, this holy house was very near to Masjid-e-Nabvi but due to the extension of mosque, this house has been demolished, yet the open place is still there. No board or indication is there now a days. 4. 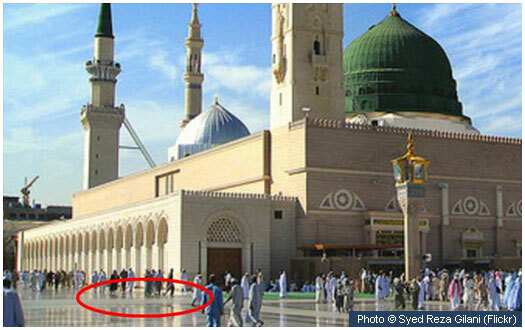 If someone comes out from Masjid-e-Nabvi through Bab-e-Baqi (Baqi Gate where the Shrine of Prophet S.A.W situated) and take a slight riht turn and walk almost straight outside the flooring of Masjid-e-Nabvi, you will get yourself near to the place where the house of Syedna Ayub Ansari was situated. removed but house was present. 5. It is really a place of important Islamic history and few moments must be spent by pilgrims on this open place.